TEFL Org runs frequent courses across England. Students come from a wide area to attend our fun, interactive and practical TEFL courses. "The course is so fun that you don't even notice the long days and energy is kept high because of this. You learn so much in a short space of time and I am very pleased with how much I got out of the weekend." "The content was comprehensive and it flowed well from topic to topic." "The tutor, Amy, was very good. She was clear, friendly, and made us all feel very comfortable with one another." "I was happy with the relaxed atmosphere and how much information was given." "Richard made the course fun to learn, and every bit of it was made interesting even the grammar section!" "Our tutor Caroline was extremely good and made the course so enjoyable. I also enjoyed getting to know the other like-minded students and was able to make a lot of friends. All in all a really enjoyable weekend!" "Richard was an excellent tutor; he answered all the questions, helped and encouraged us until the end." "Outstanding tutor. Very active and hands on course. Very helpful advice and support as well as a structured interesting course structure." "The tutor was brilliant and she made a long weekend very entertaining and informative. There were also plenty of opportunities for practical work and personalised feedback." "Great teacher and plenty of opportunity to get involved in the course. Lots of info learnt." "The variety of activities and the fun interaction with Caroline and the course participants." "Information given (particularly on grammar) was very useful and the way in which it was taught helped with understanding." "The content was useful and practical. The tutor was knowledgeable and friendly." "Mark was a fantastic teacher! I was so worried about the weekend having never done anything like that before, but he was so confident and inspirational, all my nerves just went away!" "I was impressed with the tutor's knowledge and skills." "I think the fact that there were only 8 people on the course made it the perfect sized group. Roy was excellent at engaging us and showing us techniques that can be used when teaching. The course was well structured and gave a good basic understanding." "I enjoyed the pace of it along with the group dynamic." "I enjoyed being with a group of like-minded people who were all there to learn and get inspiration. I found Amy really helpful and approachable and know that I will use a lot of what she showed us when I get round to teaching my first lessons." "The way it was structured was good and enabled me to gain confidence in learning and teaching English grammar to foreign students." "Well structured and taught; tutor gave lots of constructive criticism and gained feedback from all students as we progressed through the course. Loved the useful examples and learnt how they could be tailored to various levels of understanding." "What I most liked about the course was getting the opportunity to learn alongside people in the same position as me, and also getting to teach them ourselves, giving us valuable confidence and experience." "Content of course was challenging but was very well presented by an excellent tutor. He was very knowledgeable and made learning hugely enjoyable." "Really good pacing, full of humour, really liked meeting others on the course." "Everything on the course was good, enjoyed all of it." "The tutor was excellent and varied the activities to make the course very enjoyable. All of the group got on really well together and helped and supported each other." "The tutor was extremely engaging and very enthusiastic. I was sad when it finished." "Fun, interactive, and informative. A great way to learn how to teach by actually being shown and doing it yourself!" "It was fast paced, but that kept it from being boring. And Amy our tutor was very good." "It was fun, relaxed, informative, extremely helpful. Amy was excellent, really friendly, fun and made the weekend easy!" "The teacher was excellent in explaining everything." "Caroline's depth of knowledge and willingness to answer any type of query. Interactive nature of the course broke down inhibitions very quickly." "The fact that it was very interactive and practical; it clearly showed us how to conduct different types of activities with the students." "Even though there was a lot of information, I enjoyed weekend as the information was taught in a fun and interactive way." "I enjoyed actually doing the methods of teaching we were being taught, it helped me remember the techniques." "I felt I was learning new skills from the advice given." "I enjoyed the course as a whole. Our tutor, Rich worked really hard and was extremely enthusiastic. For a group of complete strangers he managed to make sure we got to know each other very quickly so we could work together well." "Enthusiastic/knowledgeable tutor and course content. Good balance of necessary theory and lots of the practical 'learning by doing'. Perfect class size!" "Every aspect, especially the grammar section, helped expand my knowledge further and the practice lessons teaching these subjects really benefitted me for my future career with TEFL." "I liked that it was challenging. Also, Asif has a wealth of experience which he shared with us and which I think was one of the most valuable things about the course." "It was a friendly environment where I felt comfortable to learn and ask questions." "I was glad for the opportunity to learn and practice teaching grammar." "Roy made the course enjoyable and fun. He had great energy and enthusiasm." "There were chances to practise giving classes and to see giving a class in action which removed nerves and gave ideas for my own classes better than I could get from online videos. I enjoyed meeting other people and seeing what their ideas, plans and hopes were." "The enthusiasm of the tutor, as well as the content of the course, gave a real boost to my confidence." "Very accessible, engaging and involving with a variety of activities and a pleasing, light-hearted atmosphere. Tutor was easy to work with and provided excellent information and advice for teaching opportunities." "I thought Caroline was an excellent tutor, and the material covered would be very useful. I find it hard to understand how you would get the same experience from the course without having done a taught course to accompany the online and video." "What a supportive environment. While I found parts of the course difficult, particularly the Grammar section, I felt supported both by the teacher and fellow students and left the course in a positive mood accepting that I needed to practice certain areas." "I loved how interactive it was and the amount of lesson plan ideas given as examples for different ways of teaching." "Meeting so many like-minded people and getting to see/put lessons into practise, it gave me some great ideas for my own classes. It was really inspiring!" "The teacher was excellent, very engaging and very open and knowledgeable." "Everything I thought I wanted to know was answered and explained. It was very enjoyable, and the time flew by." "Great tutor-led activities. As a facilitator and teacher, Amy provided the right mix of fun, knowledge, and practical activity to bring the group together and support everybody. An excellent way to spend a weekend." "A very resourceful tutor, I had loads of fun learning and performing the activities, and even as a former teacher I learnt a lot from Amy. She is an excellent teacher." "I loved everything! It was stimulating and relevant to my needs." Here are our current locations in England. Click through for more details including upcoming course dates, directions and course reviews. You can also get a TEFL certificate with a completely online course – see our online TEFL courses section for details. One of our newest locations, we are now running regular courses near Ashford in the Holiday Inn. Take your TEFL course in the second city! We run frequent weekday and weekend courses in central Birmingham. Find out what people thought: TEFL Courses in Birmingham – Reviews. Train as an EFL teacher by the sea with one of our regular weekend TEFL courses on the Brighton beachfront. Get your TEFL certificate in the West Country with a weekend TEFL course in the cultural city of Bristol, near the River Avon. Read what our students thought: TEFL Courses in Bristol – Reviews. TEFL Org came to Essex very recently. Get your TEFL certificate in the centre of town, a few minutes walk away from the train station! A perfect location for those in the north-west of England (or north-east of Wales), we run courses right next to the train station in Chester, making it easy for you to get there and get TEFL qualified! Train in Devon’s capital with a weekend TEFL course in Exeter. Another one of our newest locations, we now run weekend courses in Guildford for those who want to do their TEFL training in Surrey. One of our longest-running venues – take a TEFL course in Kingston Upon Hull in a venue right next to the train station to begin your TEFL career. Take a TEFL course in the largest city in West Yorkshire with one of our weekend or weekday courses in Leeds! A great location for those in the East Midlands, train to become an EFL teacher in the heart of Leicestershire with one of our TEFL Courses in Leicester. Our Merseyside venue is always a popular course, why not see what the fuss is about? Take a TEFL Course in Liverpool on the Mersey and begin your career teaching English abroad. Take one of our 2-day or 3-day practical courses at one of our venues in London Islington and Paddington. Manchester is one of our most popular TEFL course venues, being one of the largest cities in the country. We run frequent weekend and weekday courses in the centre of the city, so you can begin your career teaching English abroad when you want! See what people thought : TEFL Courses in Manchester – Reviews. If you live in the North-East, get your TEFL certificate by taking one of our weekend TEFL courses in the centre of Newcastle, not far from the Tyne. We run regular weekend TEFL courses in the centre of Norwich, so people in the Norfolk area can easily get TEFL qualified. Live in the East Midlands and want to take a TEFL course? Take a weekend course in Nottingham, one of England’s most historic cities, and start your TEFL journey. You can read some reviews of our Nottingham TEFL Courses: TEFL Courses in Nottingham – Reviews. For those in the south-east of England, the best option for you is to take one of our TEFL Courses in Plymouth! We run regular weekend courses in the city, so you can train when it suits you. Find out what our students said: TEFL Courses in Plymouth – Reviews. Get your TEFL certificate with one of our weekend TEFL courses in the county town of Berkshire. We run regular courses so you can train in Reading get your career in TEFL started! The Steel City hosts regular weekend TEFL courses. 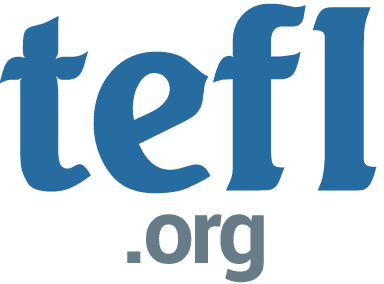 Find out what our students thought: TEFL Courses in Sheffield – Reviews. Train in the capital of Hampshire with one of our TEFL courses in Southampton, England’s nautical gateway. Start your own journey abroad with a weekend TEFL course and a TEFL Org certificate! See what our students thought: TEFL Courses in Southampton – Reviews. If you’re still unsure about which course to book, check out our full range of TEFL courses or call us today on 01349 800 600 and we’ll be happy to advise you what course is right for you!